MIX the confectioners sugar together with the flour. MIX in the butter (on room temperature!) into the mixture using a fork. 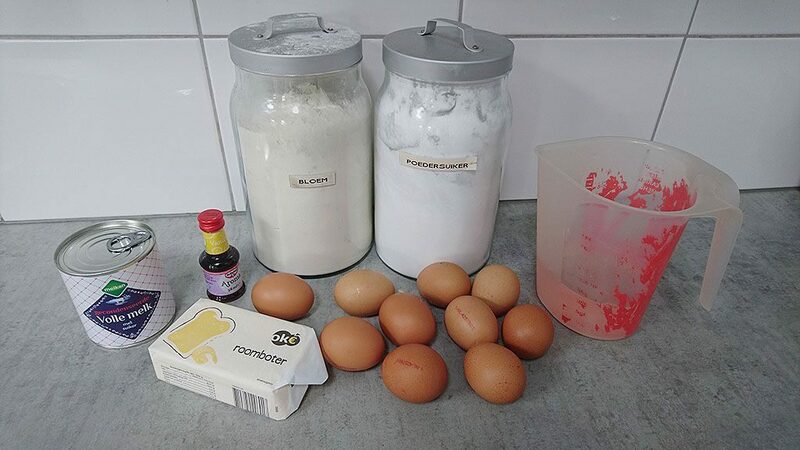 BEAT 1 egg in a bowl using a whisk. ADD the beaten egg to the mixture along with a few dashes of vanilla extract. The mixture should be somewhat moist, you can add more butter if the dough is too dry, or add more flour if it’s too greasy. SHAPE the dough into a large ball, then take off smaller balls to fill in the tart molds. PRESS until the entire bottom and sides are covered. Use your fingers to press the sides onto the tart mold. COMBINE white sugar and water in a medium-sized saucepan and cook until the sugar has been dissolved. Turn off the heat and let cool off to room temperature. WHISK every egg (9 of them) gently into the sugar and water mixture. STIR in the vanilla extract and condensed milk. 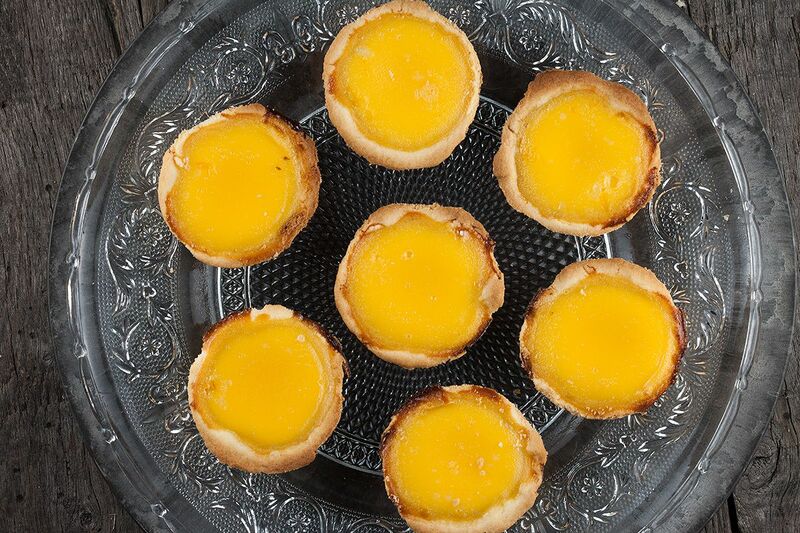 FILL the tart shells with the egg mixture. PRE-HEAT the oven to a temperature of 230 degrees celsius or 450 degrees fahrenheit. Then place the tart molds into the preheated oven and bake until golden brown. Bake the tarts for about 15 to 20 minutes. 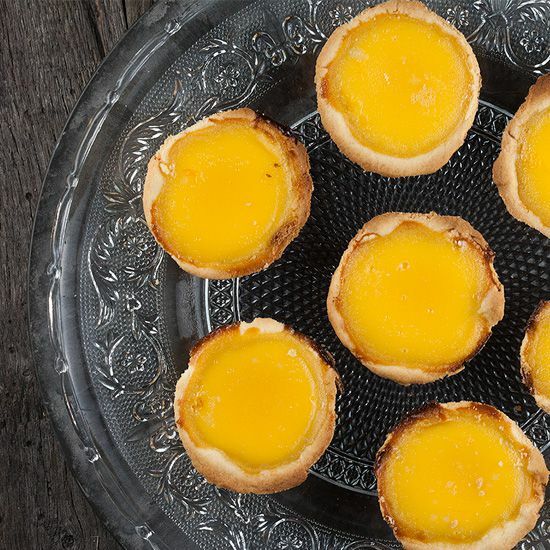 The Hong kong-style egg tarts filling should be slightly puffed up. They look delicious. Just like the ones I’ve seen in Chinese buffet restaurants.